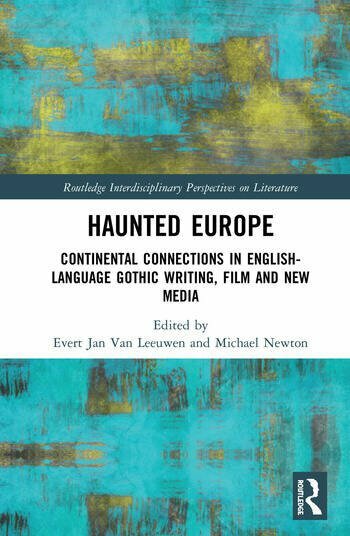 Haunted Europe offers the first comprehensive account of the British and Irish fascination with a Gothic vision of continental Europe, tracing its effect on British intellectual life from the birth of the Gothic novel, to the eve of Brexit, and the symbolic recalibration of the UK’s relationship to mainland Europe. By focusing on the development of the relationship between Britain and Ireland and continental Europe over more than two-hundred years, this collection marks an important departure from standard literary critical narratives, which have tended to focus on a narrow time-period and have missed continuities and discontinuities in our ongoing relationship with the mainland. Evert Jan van Leeuwen (Leiden University, the Netherlands) is author of House of Usher (Auteur Press 2019), co-editor of The Literary Utopias of Cultural Communities (Rodopi 2010), and has published articles in the Journal Eighteenth-Century Studies, the Nathaniel Hawthorne Review, and Studies in Gothic Fiction, amongst others. Michael Newton (Leiden University, the Netherlands) is the author of the cultural histories, Savage Girls and Wild Boys and Age of Assassins, and of two BFI Film Classics books, on Kind Hearts and Coronets and Rosemary’s Baby, and also Show People: A History of the Film Star.